Archives of Eaton Bray News for January 2014. This article was published in January 2014. Please see Latest News for more recent information. Theft, fire, flood or data loss could drive a small company out of business but having a business continuity plan enables companies to recover quickly and get back on their feet. Without a plan half of local firms affected by an emergency go out of business within a year, but during Business Continuity Awareness Week 17-21 March 2014, companies wanting to create their own continuity plans can get FREE help from the Bedfordshire and Luton Local Resilience Forum (BLRFF). "Planning for emergencies helps businesses survive disasters, lower insurance premiums and secure future contracts," explains BLLRF's Chairman, Chief Superintendent Mike Colbourne. "During Business Continuity Awareness Week in March 2014, our FREE, 30 minute sessions will help you prepare for, and deal with, emergencies like theft, flooding or data loss by providing a template for survival in times of crisis. In the current economic crisis a business continuity plan also helps reduce insurance premiums and enables you to compete for contracts that require a contingency plan to be in place." The FREE sessions are being held between 8am and 6pm at Bedford Corn Exchange on Tuesday 18 March and the Tokko Building, Gordon Street, Luton on Wednesday 19 March. Working with professional emergency planners you'll create your basic plan and leave with a data stick containing your plan and other useful information. The session last about 30 minutes and pre-booking is strongly advised. There are also stalls and exhibitions by major responders from across the county. "Getting started on anything is always difficult," says Chief Superintendent Colbourne, "but our message is stay calm, prepare today and save your business, and money, tomorrow. Our experienced emergency planners will guide you through an outline plan, assessing your business risks and helping minimise the impact of emergencies by creating a contingency plan which you can take away with you." Attending the events will be police business crime experts, fire safety officers, environment agency, council trading standards, environmental health and health and safety staff, local business organisations like the Chamber of Commerce and Federation of Small Businesses and other local emergency responders. Please pre-book for the one-to-one business continuity planning sessions by contacting the Bedfordshire Chamber of Commerce, [email protected], www.chamber-business.com/events/partner-events/ or by calling 01582 522448 (you do not need to be a member of the C of C or FSB to attend). To get started why not check out the 10 minute checklist on the BLLRF website to assess your businesses' readiness to react to disaster and use the online resources to begin creating your own business continuity plan. Why not join BLLRF's Facebook page and follow us on Twitter #BCAW201 and #BusWWYDI. that due to the resignation of Linda Doughty, a vacancy has arisen in the Office of Councillor for the Parish Council. If by 28 January 2014 (14 days excluding Dies Non, after the date of this notice) a request for an election to fill said vacancy is made in writing to the Returning Officer at the address below by TEN electors for the said Parish, an election will be held to fill the said vacancy, otherwise the vacancy will be filled by co-option. If an election is called, it will take place not later than 1 April 2014. Have You Been Offered Stolen Bicycle? 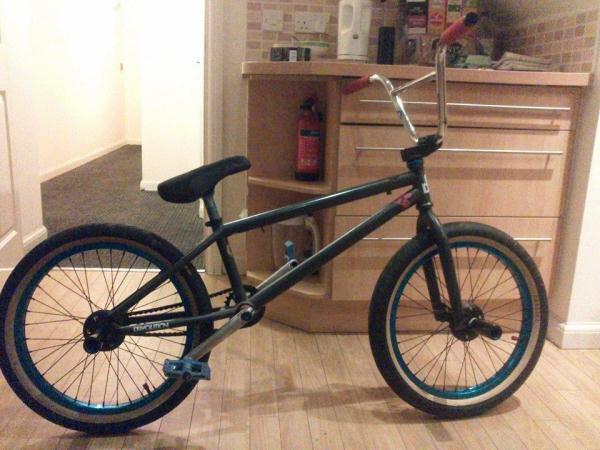 Bedfordshire Police are asking members of the public to get in touch if they have been offered a distinctive BMX bike which was stolen from outside a Dunstable bowling alley. The theft took place sometime between 8.30 and 9pm on Sunday December 29 after the victim had left the bike locked up outside Go Bowling in Court Drive, Dunstable. The bike – a grey framed WeThePeople BMX – had a number of additional parts including blue wheel rims, red handle bar grips, chrome handle bars and BSD engraved wheel hubs making it worth around £1000. Following the theft there had been reports that the bike was being ridden in the Bennetts Park and High Street area of Houghton Regis. The Investigating Officer is keen to hear from anyone who may have been offered the bike or from anyone who may have seen the bicycle being advertised on websites such as eBay or Gumtree. If you have information relating to this incident, contact Wendy Moffatt in the Crime Service Team, in confidence on the non-emergency 101 number, or text information to 07786 200011. Alternatively contact independent charity Crimestoppers, anonymously, on 0800 555 111, or online at crimestoppers-uk.org. Want to eat Fish and Chips, while raising money for charity? Hold a fish and chip supper on Friday 16th May 2014 whilst raising awareness of spinal cord injury and supporting SIA's vital services. SIA will provide a fundraising pack containing hints and tips, recipes, invitations and donation envelopes. By inviting 8 friends and asking them to donate an additional £5.00 means you will raise at least £40.00 from your supper but we will also give you additional fundraising ideas to raise even more money for SIA. In 2014 SIA is celebrating its 40th anniversary and so we want to make the batter matter and raise £25,000 from everyone holding suppers. Last year we raised £12,500 from the suppers. The money raised from the suppers will help the Spinal Injuries Association offer support to individuals who become paralysed and their families, from the moment a spinal injury occurs, and for the rest of their lives by providing services and publications which enable and encourage paralysed people to rebuild lives after spinal cord injury. Community Fundraising Manager, Elizabeth Wright, says, "The Fish and Chip Supper is a wonderful opportunity for a great evening with friends and family. We are also encouraging people who work to hold a Fish and Chip Lunch in their work places to raise even more funds. You may be even a local community group wanting to run a fun evening with your group. For more information or request a fundraising pack call Elizabeth Wright on 0845 071 4350 or email [email protected] or visit www.siafishandchips.co.uk. 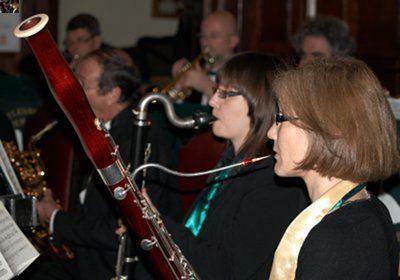 We have received the full programme for the concert from Aylesbury Concert Band and it looks terrific. As well as New Year favourites including the Trish Trash Polka, The Blue Danube and the Radetzky March the programme includes the Florentina March by Fucik, The Barber of Seville goes to the Devil by Jacob, Crazy for you by Gershwin, Big Country by Moross, Dargason from Suite in F by Holst, Disney at the Movies and Farandole by Bizet. You may not recognise the titles but these are splendid, well-known and popular pieces that you are sure to enjoy. All this wonderful music played by one of the country's top Concert Bands – Silver Medal winners in the National Competition in 2013. Tickets are £7.50 from the Box Office on 01525 222283 and, don't forget, accompanied children are admitted free. And the timing of the concert is designed to enable us to get home in the daylight. We do look forward to seeing you. You are viewing the January 2014 archive.